You are here: Home » D-I-R-G-H: Does party matter when it comes to electing a humane candidate? D-I-R-G-H: Does party matter when it comes to electing a humane candidate? Democrat-Independent-Republican-Green or Humane? Does party matter when it comes to electing a humane candidate? 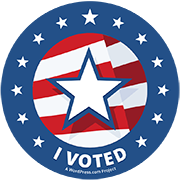 In our Facebook poll this week we asked about your past voting habits and if you would consider crossing party lines to vote for an animal friendly candidate. An overwhelming 76% of responses indicate that yes, you would consider crossing party lines to voting for a humane candidate. We have a busy election season coming up for 2012 with numerous local races to follow. 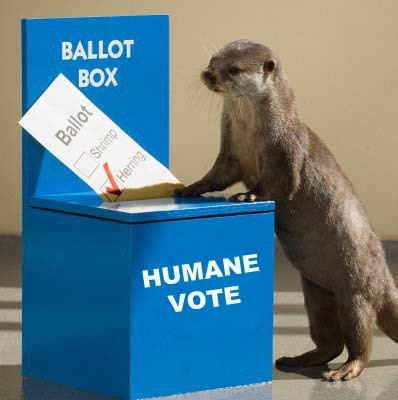 Voting for humane candidates translates into better chances for passing animal protection bills. We hope everyone who cares about animals takes an active role in helping to protect animals by getting involved in their local political parties and making sure their candidates are animal friendly. Be sure to follow us here on our webpage, Facebook and Twitter as we will be posting valuable information, candidate profiles, candidate recommendations and coming next week…the first ever PA Scorecard on how PA legislators voted on animal bills. Here are links to each of the parties – remember we are non-partisan here: Democratic, Republican, Independent, Green and Humane. Note the latest party to be added is the Humane Party. This is a relatively new party with no actual candidates on the PA ballots yet, but thought it might be interesting to follow. Regardless of party, make sure your candidate knows how important protecting animals is to you and get them to commit to a position before they get elected. ← Who’s responsibility is animal control?